Comics Experience Blog: Paul Cornell Joins Creators Workshop LIVE this Saturday, March 10th! Paul Cornell Joins Creators Workshop LIVE this Saturday, March 10th! 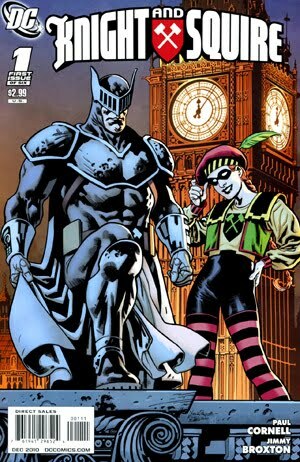 Just a reminder that this Saturday March 10, 2012 at 3pm Eastern Time, writer Paul Cornell, will be joining us live from London for an online Creators Workshop Book Club discussion of Knight and Squire published by DC Comics! "[Knight and Squire] is a very British one....they come from a deliberately over the top, tremendously fun DC Britain that had previously been only slightly explored. If Captain Britain was a more realistic take on British superheroics, Knight and Squire delights in Mary Poppins absurdity, in what I think is a quite 2000AD way. The artist on this six issue miniseries is the great Jimmy Broxton." The miniseries also had an interesting and unusual structure, as previously discussed by our Book Club Manager, Paul Allor, in the article "Knight & Squire: A Study of Structure." 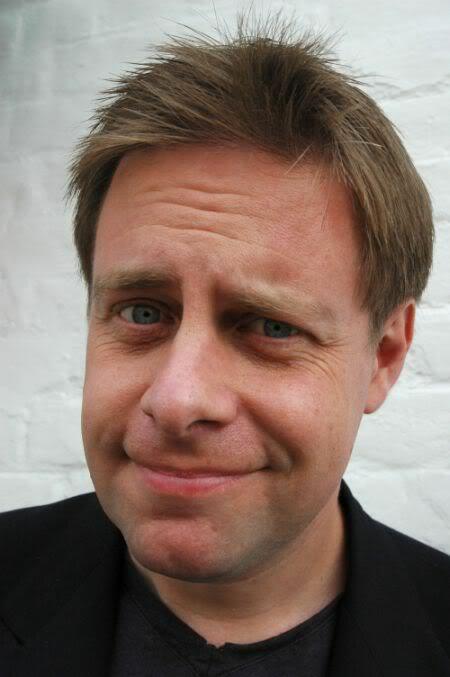 In addition to writing comics, Paul Cornell is a novelist and TV writer, notably for the television show Doctor Who. Most recently, he has written both Demon Knights and Stormwatch for DC Comics. Coming soon is his new creator-owned series from Vertigo entitled Saucer Country, where Paul and artist Ryan Kelly tell the story of a U.S. presidential candidate and her alcoholic ex being abducted by aliens. Join us at the Creators Workshop to take part in what's sure to be a great discussion with Paul!